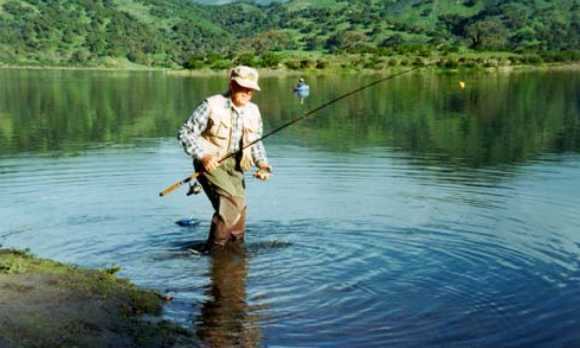 Crappie, red-ear sunfish, large-mouth and small-mouth bass provide the best angling in warmer months, and regular rainbow trout plants spark "reel" action in cooler months. Catfish exceeding 25 pounds are caught at dusk and dawn all during the year. Windy coves and the warm water are the ideal setting for windsurfing, but canoeists delight in the tranquil waters of the secluded upper Lopez Arm. A modern marina with launch ramp, food store, tackle shop, and boat rentals operate year-round. Mallard Cove provides a launching facility for beach launching of craft. 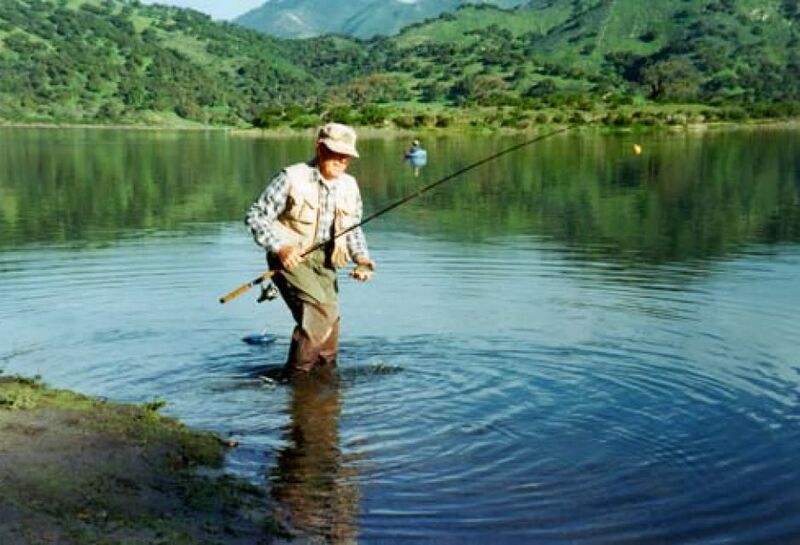 Located just ten miles east of Arroyo Grande, Lopez Lake Recreation Area is one of the top choices for camping and leisure trips. With 22 miles of shoreline and summer lake temperatures around 70, there is something for everyone; camping, fishing, boating, skiing, sailing, windsurfing, picnicking, hiking and equestrian trails, mountain biking, canoeing, bird watching, and so much more. 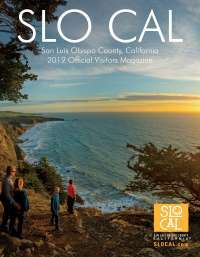 Many visitors to the Central Coast make Lopez Lake their staging area for visits to wineries, golf courses, historic sites, and Hearst Castle.